On a recent travel writing tour in southern Illinois, I was blessed to stop at the lovely River Rose Inn where they served us lunch from the nearby E’Town River Restaurant. The home was built in 1914 and offers five rooms and a private cottage. 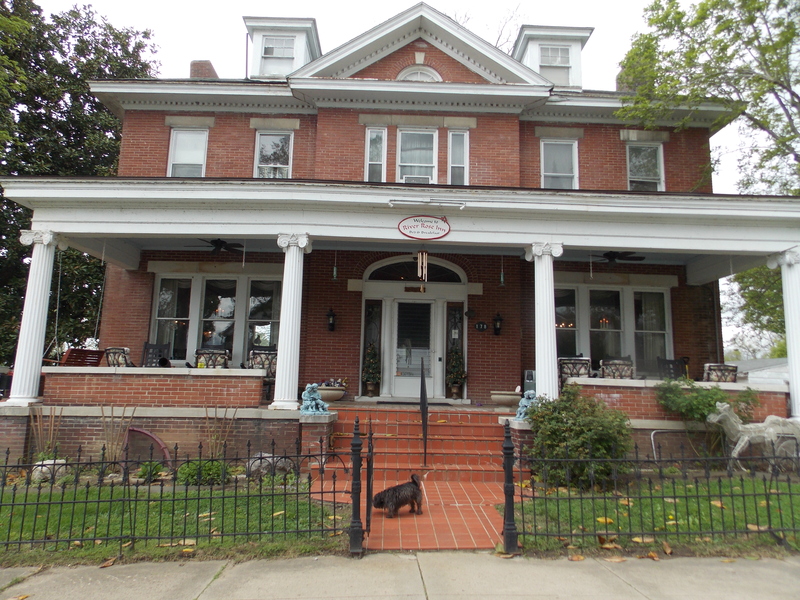 Log onto http://www.riveroseinn.com/ for details about the bed and breakfast . First built for the Patton Family, then later owned by their daughter Grace and her husband Ed Wall, the bed and breakfast sits along the picturesque river banks just down from the E’Town River Restaurant. The home owned by Sue and Bruce Hemphill offers five rooms and if looking for more privacy, the Magnolia Cottage. “We have a swimming pool, jacuzzi and a 100 year-old Magnolia tree, which is the oldest in the state of Illinois,” Sue said. “We get visitors from all over the country and around the world,” Sue said. This included one visitor from Japan that came for the National Quilt show held in nearby Paducah, Kentucky which is just 45 minutes away from Elizabethtown. We enjoyed dining in the formal dining room and hearing stories about the Inn and visitors. The River Rose Inn is across the street form the Rose Hotel, the oldest in the State of Illinois.